My First Lent – what is it? So coming from a secular background that was SO non church that Christmas was tinsel, and Easter meant chocolate “Lent” never really happened. When you have so many worldly things to block you from his love and presence in your life, there is no reason how or why would you carve out 40 days for being closer to him. In that place sharing his loss by losing something yourself? Just not going to happen, no reason to wonder, or find out. This is a task for the converted, not the doubtful, or drifting. Also even for the curious its a very loose concept, almost left up to each person to find their version of Lent. We have a framework it seems but how that framework gets applied, is up to you? The Muslims have Ramadan, and that is much more defined, and demanded as a tenet of faith. However some of the core concepts overlap, reflection, taking time out to work closer to your god, become closer to the demands of your faith. So we share the idea that one has to stop, and deny yourself something, to slow down the pace of your life so that your god can be heard, and that you take the time to listen. In that regard I think Lent is one of the christian disciplines least shared by the secular world. What it is,how it happens, why it happens etc. 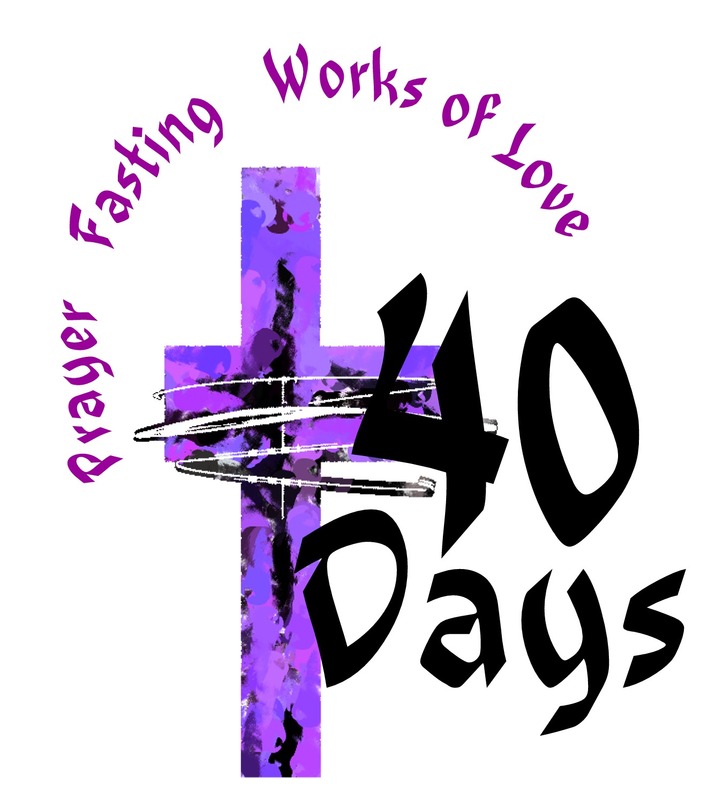 Everything else is shared by the world, but lent is an event that is felt almost exclusively by the followers of Jesus. So my first thought as Lent approached me was how should I approach lent? It came at an apposite time, I had gone through the first “rush” of deciding to become a christian, to being very sure of myself, that now I was on the right track. Jesus had come and got me, I was his and it would all work out. Then as you learn more, you realise how much there is to learn, and as more is offered, more is demanded. Then you realise this task of being as like him as you can be is rather demanding (the most common mistake of atheists is the thought he is our crutch, our box of answers, however he is as much a source of questions about ourselves, and a stick to drive his flock out into the world for action). Anyhow I was feeling the enormity of it, and realising I had not begun to begin. That happens to all of us you know, when we tackle a large complicated subject. NLP, (neuro linguistic programming) would call this stage conscious incompetence. However I think that’s where the analogy end’s because as a christian trying to be more like christ, that’s as good as it gets! While that thought wasn’t disheartening it aided in the slightly less disciplined way I had been approaching my growth. So for me, I was praying a little less, working through my first full read through of the bible a little slower. My life had speed up and although I am changed, my lens on life was altered. I was certainly not as focused as I had been. So then I had to choose something to do. Facebook was the first choice and the correct one, my drift was showing in my online interactions, and the time it was taking away from him was obvious. Then as I thought on it more I had the STRONGEST feeling that this was simply not enough. He wanted my prayers, he wanted a dialogue, a proper chat. Like all relationships you whiz through a first rush and then you have to communicate, work a little, make some time. On the lead up to Lent I saw Facebook as the biggest task, the thing that would require the most effort. Up till now I had prayed when I had something to say, or was given something to say as part of a church service. This is time I must make every day, and sit and ask or chat on a schedule. That meant I couldnt cover anything up in our conversations, because i didnt have an “event” to talk about, a need to ask for. The little unresolved issues that I had parked, were the only things left to talk about. Like sometimes before I pray , a little voice says “who to” or “what too”. However the connection I feel gets me past that, and as soon as I pray it goes away totally and I feel engaged in conversation. Now normally that gets pushed aside as I move to the subject of my prayer, but because there was no burning issue, that became the subject. How to not have that moment, what does that moment say about my faith? Can you help me with that please Jesus? I write this on day three of lent, and already that moment is becoming less and less. So yes he is helping, reaching out to bring his wayward sheep a little loser. My first one, and I think Jesus is showing me what its really all about. Facebook stays away as I have promised. But really the thing that has been the biggest challenge, the most rewarding so far? Prayer time, because as imperfect as my prayers are, as faltering as they can sometimes be when not driven by a moments quick desire to speak to him. But done coldly almost in cold blood, without a congregation, or a subject to hide behind, or a subterfuge to move the elephant in the room to one side. He has full reign to say, no lets talk about THAT today shall we? Let’s make your faith stronger by moving past that, ignoring it makes it bigger, and like all relationships hiding things under the carpet makes them linger, and all you get is increasingly lumpy carpet. Writing this has been part of that process, and on day three of lent I begin to understand what making time to let him in is all about, removing the distractions, and talking to him without a demand or a question, or even devotion. But simply with the idea of “seeing where he takes the conversation”, because as I am discovering he has things he wants to say to you too? Lent has been for me a way that with me having no agenda to our chat’s he has had that chance. This is my little reflection on lent so far, and all I can hope is that he has found a way to use lent for you too? Because on day three I am now looking forward to it more, and waiting almost for our next chat. I wanted a record to look back on, and I think if more of us share our less than perfect moments, then maybe someone else may say “I had that doubt, what can we do about it please”? Because that is exactly what he was waiting for me to ask? Also as a lent “debutante” I dunno about you but I always find peoples first impressions interesting and a reminder of how far I have come, and sometimes a reminder.